What was I thinking y’all? The ss16 off shoulder trend was hot and sizzling but for some weird “no reason” I slept on the trend. Actually I tried to get it a couple of times I went shopping at Westfield but it’s either I never found it or I got tired of checking. But yo! I most definitely regret not jumping on the bandwagon. Luckily for those who are in hot countries and think you’ve also been sleeping on a bicycle! 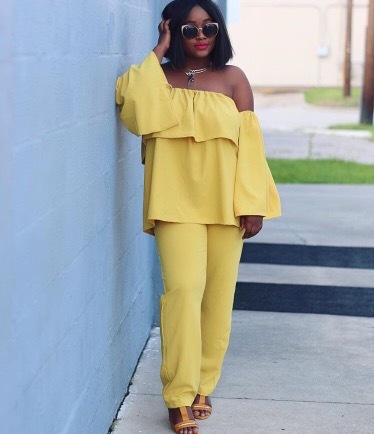 Wondering how to rock the trend ?? 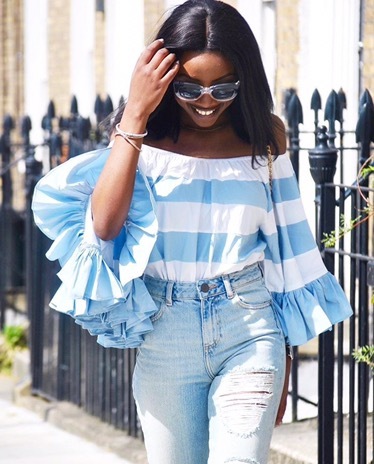 I would be sharing some of my favourite bloggers wearing them. I’d also be leaving where they shopped the outfit and their websites. Thinking of it ,it’s not too late for me to join the gang , it’s been quite hot surprisingly. What do y’all think ? 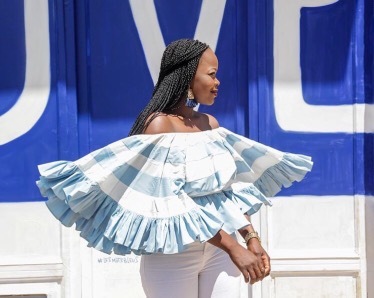 Itoro Essien of howistyledit.blogspot.com in a custom made off shoulder co-ord by a Nigerian brand Labels on Instagram .The coulour would make you even want to wear the outfit. Chic! 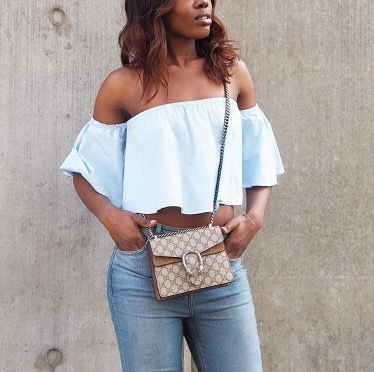 Kemi opeifa of kemislookbook.com wearing this flare off shoulder top from Boohoo. I absolutely love it. 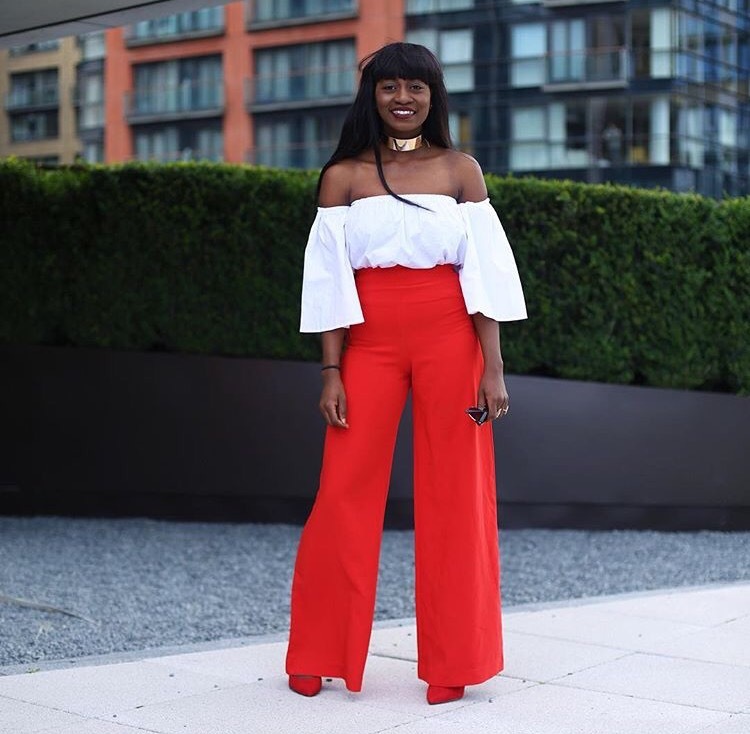 Jennifer Amani of jenniferamani.co.uk paired this white Shein top with a red pant trouser. Getting ideas guys ?? I’m sure you are because I’m loving them all. Can you just tell where Melissa of melissaswardrobe.com off shoulder top is from without me telling ?? It’s obviously from no other store but Zara. Lol is it just me who can tell a Zara piece by just seeing them ?? I hope this was very useful to ladies who needed off shoulder style inspirations.